G-CDN is the fastest CDN in Czech Republic. After a recent network optimization of a CDN PoP in Prague we have achieved a better response time — 17 ms.
We have no CDN nodes in Vienna yet, but this does not prevent us from staying ahead of most CDN providers in Austria in terms of speed. Thanks to the excellent connectivity of G-CDN in Western Europe and the performance of cache servers in Amsterdam, Frankfurt and Prague in the last year and a half, we have improved the response time in Austria from 40 to 26 ms.
G-CDN helps our European customers speed up the loading time of games and mobile applications, increase online stores’ conversion rates, withstand the load on websites of medical tech services and betting companies, broadcast sports events live without delays and buffering in 4K quality. You can learn about the features of our CDN solutions for different industries in Case studies section. We have all new plans for CDN. Ultra-fast content delivery across the world has become even more accessible. We are the best in terms of content delivery speed not only in Czech Republic and Austria. 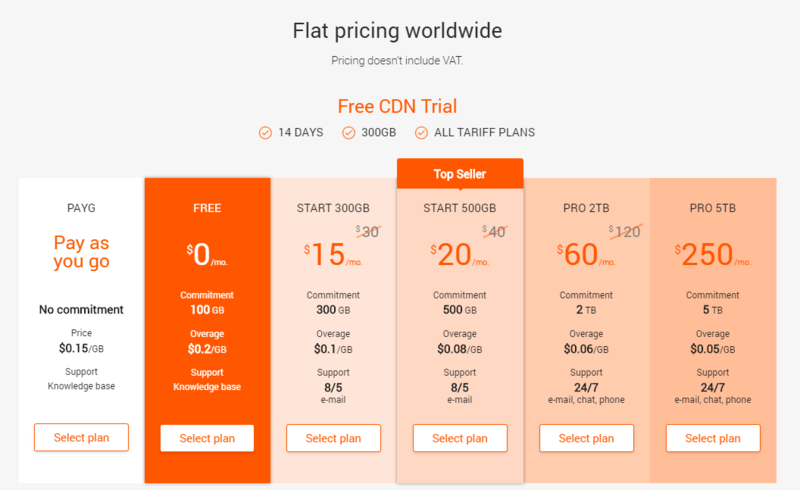 So be sure to test G-CDN for free if you are looking for a modern service with superior performance and the necessary set of features. During the trial period, we offer 300 GB of free traffic for 14 days. Signing up takes just a couple of minutes. Along with improving CDN performance, we design hosting in Prague and Vienna. Dedicated and virtual servers with high-speed channels, DDoS protection and advanced features will be available there soon. If you urgently need a server in Europe, you can select one of the available configurations at G-Host page. Be sure to subscribe to our regular news and promotions not to miss out on exclusive sales and offers and to buy a server at the lowest price.